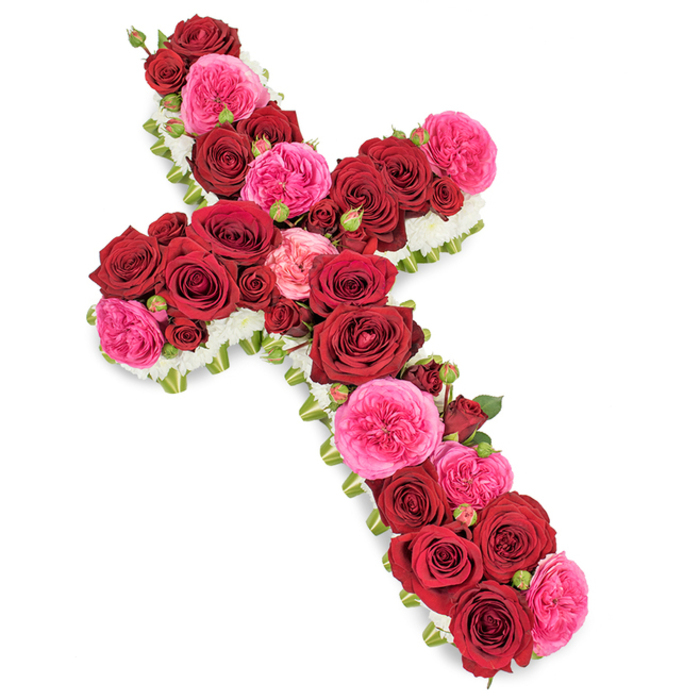 A beautiful expression of your love and concern, this wonderful cross-shaped arrangement is made of white chrysanthemums, red roses and pink garden roses. 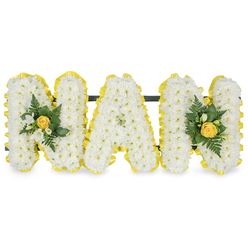 Its stylish design makes it very appropriate for a funeral service. I was quite pleased with the flowers. The arrangement arrived safe to the funeral home where the funeral took place. The family liked them. Thank you. Kept me updated about my order and delivered on time. 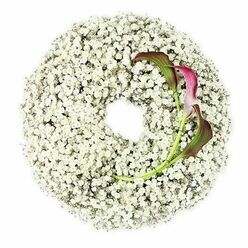 Good choice for funeral flowers. 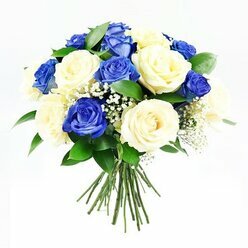 Timely and safe delivery of the flowers. Trustworthy company. 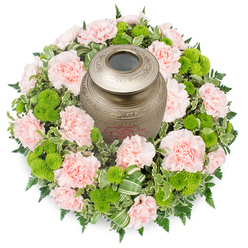 My family ordered all the funeral flowers from this company. 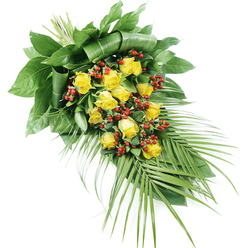 The 4 arrangements were delivered to the funeral directors and displayed at the funeral of my dear uncle. Excellent range of options. 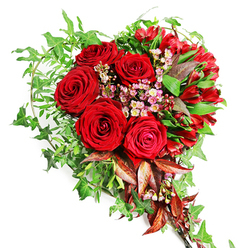 The flowers in the arrangement complemented each other perfectly. It was a lovely funeral cross.